BookLust: #Diversiverse: A More Diverse Universe Links-travaganza!! 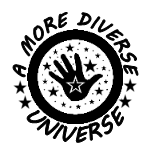 #Diversiverse: A More Diverse Universe Links-travaganza!! Hooray! #Diversiverse is HERE! Two weeks of gloriously diverse reading suggestions for you and all your friends, all so that we can work to make our world a more understanding, caring, and amazing place to live. Reading diversely is important because we live in a global world. Period. If you read books only by white authors, you are limiting yourself to less than 30% of the world's experience of race and culture. If you read books only by Christian authors, you are limiting yourself to only about 33% of the world's experience of theology. If you read books only by authors in developed countries, you are limiting yourself to a very privileged view of what the world has to offer you. If you read books that focus only on Western thought, history, and philosophy, you are missing out on many rich and varied traditions and worldviews that have informed and continue to enrich the way we view the world today. I think that sums it up as well as I can. As the link list below becomes populated with reviews of books across multiple genres, by authors from a plethora of backgrounds, I hope that this point will be proven over and over. Authors all over the world write romance novels, historical fiction, social science, folktales, memoirs, poetry - everything. You just may need to look a little bit harder to find them. But luckily for you, there's the #diversiverse link-up post below. Browse at your leisure, add dozens of books to your TBR pile, and enjoy! Thank you! And thank you SO MUCH for participating. Let's flood the digital world with reviews! I posted my first review and hope to finish my second diverse read within the next few days. Can't wait to see what all the other people are posting. Thanks so much for hosting this event! This was fun; thanks for organizing us. Oh no, I just put my blog in the linky without reading all of the instructions... I thought for a second that I was signing up, didn't realize this was where the links to reviews go. Can you remove it? Sorry! No, actually only you can delete the link after you put it up, but it's probably too late now I'll try and make a clean list after the event is over. Thanks for participating! Never mind, I found out how to do it, so you're all set :-) Just come back to link! Yay - I'm so excited to see all the reviews for recommendations! First review posted! I hope to read at least one more book before the event is over. This list is going to be such a great resource! First review posted! I should have at least one more before the event is over. Hi Aarti, I've posted my link after hearing about #Diversiverse from Ellen Oh earlier this week. It's wonderful to see so much interest and support in the book blogging community. I'm looking forward to reading these posts and am now following your blog too. Thanks so much for hosting! I've posted my first review and hope to be posting another one next week! Thanks so much for hosting this! It has been a great challenge, and I hope I manage to finish a few more books in time to add them too! Aarti, the link list has disappeared. I was hoping to visit more posts. Sarah, the link list is there - might be blocked by your proxy server. I can't see it while I'm at work but can at home and on my phone. Aarti, I can see the link list now. Sorry, it must have been a temporary glitch with my server. We don't get the best service in Maine. I'm thrilled to see more posts! I just posted a link to my post on "House of Stone," a memoir by an Arab-American writer. Thank you for hosting this challenge! I posted my review of A Grain of Wheat, by Ngugi Wa Thiong’o. An important and wonderful African book that provides a new way of thinking about war. My review of Secret Son by Laila Lami is posted. She is a Moroccan author who writes movingly about the rich and the poor in Casablanca. Aarti, this is incredible. I've found so many new books, authors, and bloggers already! I eventually gave up on Throne of the Crescent Moon because the writing just wasn't working for me. I've linked to a write up of why I quit and am moving onto Silver Phoenix instead. Apologies for entering my name twice by accident. Not sure how to remove it. Thank you for running the event--I loved the book I picked and also appreciated the challenge of stepping outside my usual reading habits. Pleasantville, by Attica Locke. A great mystery and more by an African American woman. Does for Houston what Malla Nunn does for South Africa. Thank you so much for hosting this! It's exciting to see all the great books listed. Hopefully next year I can be more coordinated and do more than one review. Read and loved All Aunt Hagar's Children by Edward P. Jones. It's reviewed and linked above. Thanks for hosting this event! One last special book by a Korean woman about young people finding and losing each other. I’ll Be Right There, by Kung-Sook Shin.